If you’re looking to warm up in Tassie’s winter chill, there are few things better than a glass of cider by the fire. And if you want to crank that up to eleven, head down to the Huon Valley 15th to 17th of July. Willie Smith’s Apple Shed is teaming up with other like-minded locals to celebrate the area’s apple-picking history by throwing a mini mid-winter festival. At its core is the pagan tradition of wassailing – the act of scaring evil spirits out of cider apple trees to ensure a stellar autumn harvest. Prepare yourself for an evening of singing, shouting, banging pots and pans, and generally causing a ruckus. You can even dress up in the spirit of the event for your chance to win cash prizes! But if that doesn’t sound like the kind of Royal Gala you’re into, don’t worry. To kick off the festival, Friday night will be dedicated to feasting, craft ciders and music by the fireside. From healthy, organic vegetarian food served by Wingseed to Fat Pig Farm’s free-range pork, sausages and ham, there’ll be something for everyone. You can book your tickets here. 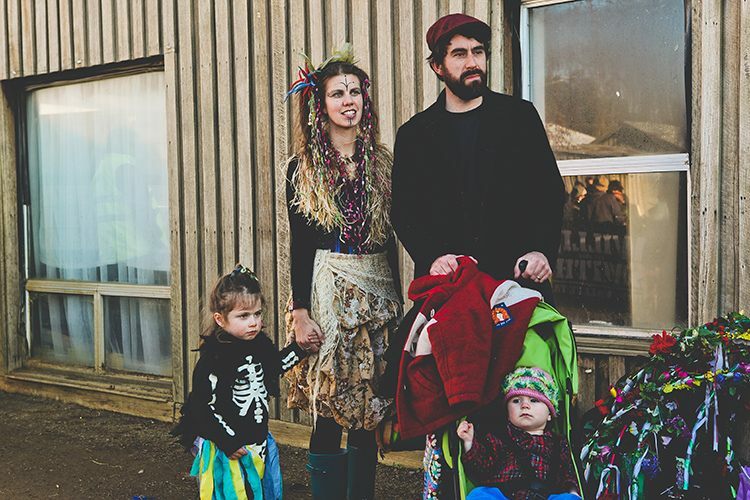 We had a chat to one of the festival organisers, Madeline Myson, to find out more. Hi Madeline, thanks for taking the time to have a chat to us. Can you tell us a bit about your background and how you got involved with the Hobart Huon Valley Mid-Winter Fest? No worries. I have a background in brand marketing and events. It’s been a colourful path of deadlines, cocktail parties, event plans, travel and hard yakka! 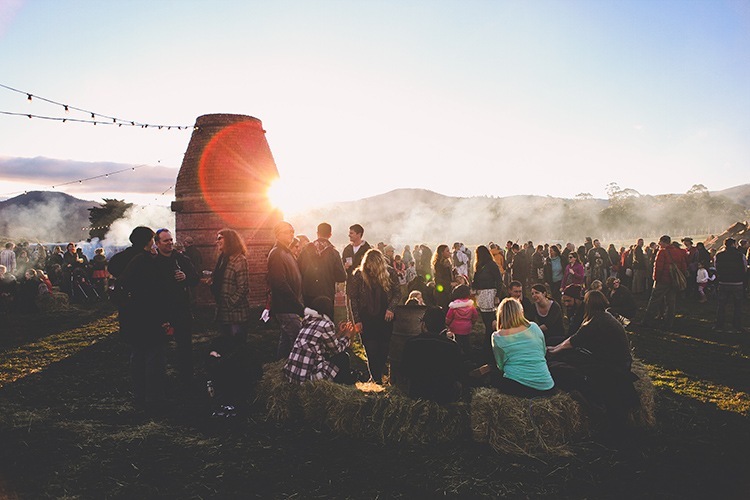 I recently relocated to Tasmania for a tree-change and by chance became involved with the wonderful producers of Willie Smith organic cider, the masterminds behind this crazy, wild, uniquely Tasmanian festival, the Huon Valley Mid-Winter Fest. What can we expect from this year’s Hobart Huon Valley Mid-Winter Fest and how will it differ from last year’s festival? 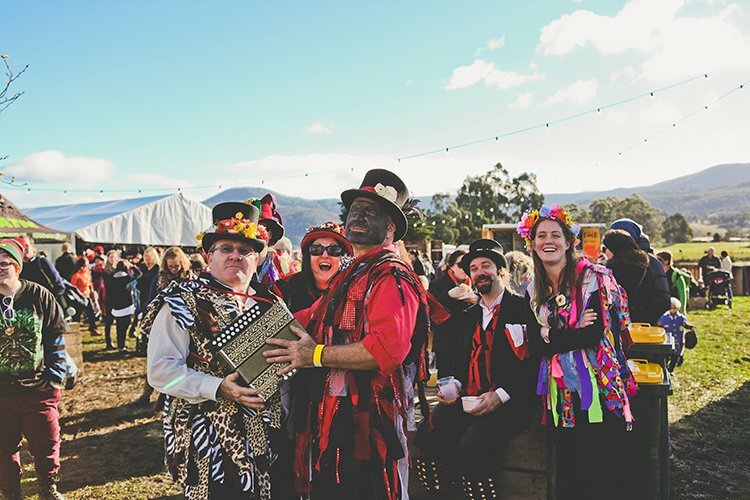 Let’s face it – not many festivals give you the opportunity to dress up and sing to apple trees in the dark in the dead of the Tasmanian winter! This year at The Apple Shed and surrounding orchard you’ll experience a haunting and fire-fuelled Welcome Ceremony to open the festival on the Friday night, complete with a burning man, the Wolfzinger Cider Show Alley street theatre piece lead by Annie Lee of the Kransky Sisters (complete with members of the community as actors in the freak show), you’ll get to experience a storytelling ‘slam’ as contestants battle it out on the Saturday night for the Huon Valley Storytellers Cup, a truly huge bonfire, and of course the largest wassail in the Southern Hemisphere lead by the Morris Dancers of Australia. Legendary folk band Ungus Ungus Ungus and The Crooked Fiddle Band will be belting out some tunes along with an impressive line up of artists from Sydney, Melbourne and of course Tasmania. The festival is basically a smorgasbord of activities aimed at celebrating and embracing winter, Tasmania, the community and century old traditions. We’re looking forward to joining in the fun! 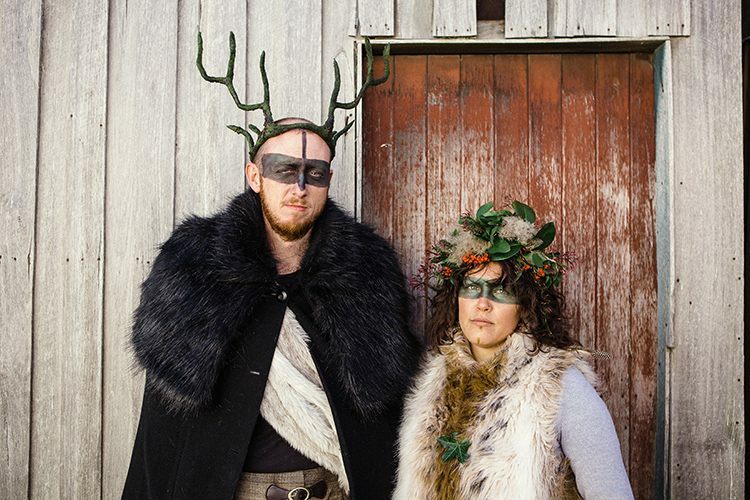 The festival centres around folk music, storytelling and wassailing. Why did you choose to incorporate these traditions into the festival? The Willie Smith’s orchard was planted in 1888, deep in the heart of the Huon Valley. The orchard is steeped in history, as is the tradition of the wassail. It’s a really unique way of bringing together the community to be a part of something they would not normally get the opportunity to be involved in. There is nothing quite like journeying through the orchard, banging pots and pans, singing together as one as flame torches and Morris Dancers lead the way; it’s an experience you’d struggle to find elsewhere. The street theatre and storytelling also gives the community a chance to get involved. It gets pretty cold in Tassie in winter and it’s important for us to create an event that gets people out of the house and together. Through locally sourced food, drink and entertainment – we feel like we definitely get the job done! Speaking of delicious food and drink, what are you most excited to try? I am really glad the festival runs over 3 days to give me the opportunity to try something from everyone! All the stallholders are local Tassie producers – meaning all the produce has been grown and nourished by the beautiful, clean Tasmanian water, air and soil. We’ve got Matt Evans (The Gourmet Farmer) with his Fat Pig Farm van serving up free-range pork, sausages and a farmhouse plate with hardwood smoked ham and veges picked straight from his farm in the Huon Valley, Black Box Kitchen serving it’s signature ‘boxed bread’ a heavenly hybrid of Yorkshire pudding-meets-profiterole, Lady Hester sourdough doughnuts, Spotty Dog Brewers are carting their half-tonne smoker (referred to as ‘The Hound’) to smoke some local Tassie meat to perfection….the list goes on! To wash it all down we have our Willie Smiths handcrafted organic cider along with the whisky legends from Lark & Overeem Distillery (there will be whisky masterclasses run by Bill Lark himself!). Let’s just say it will be a hearty weekend of winter food and drink! What better way to ward off the cold than a hearty feast! How did you go about selecting stallholders for the festival? Stallholders had to be local Tasmanian producers and use Tasmanian sourced produce wherever possible. Of course their food had to be hearty and delicious and suited to chowing down on around a fire or in front of a folk band. We’re looking forward to sampling some of the amazing Tasmanian cider on offer. What’s your favourite? That’s a tough one! We will have a range of Willie Smiths cider at the festival and it all delicious but I’d have to say my favourite is the Willie Smiths Organic Apple Cider. The cider is crafted and matured in French oak giving it loads of flavour and character, and I am pretty sure it’s going to pair well with a lot of the smoked meat on offer at the festival. When you’re not feasting on smoked meat, cider and all the other goodness at the fest, what local spots do you love going to for a great meal? If you’re after a delicious tipple you can’t go past the new Robbie Browns Bar at Kingston Beach; you can get a pretty solid feed and beer at the New Sydney Hotel, or if you’re after something a bit fancier I’d head to Franklin down by the water for a special treat. 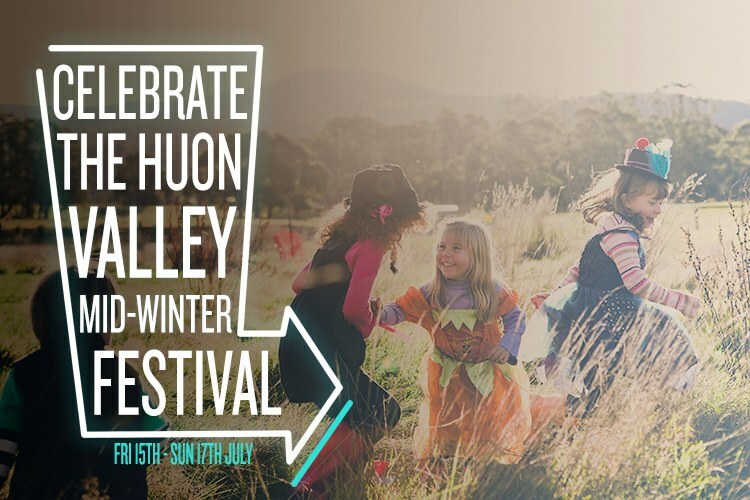 The Huon Valley Mid-Winter Fest will be happening on from Friday 15th July to Sun 17th July. Head to their website to find out more!